Senior researcher Scientific Direction Fondazione IRCCS Istituto Neurologico Carlo Besta, Milan Italy. Member of the Co-Editors Executive Board and member of the Editorial Board. Coordinating Editor of the Cochrane Multiple Sclerosis (MS) and Rare Diseases of the Nervous System (RDNS) Group. The editorial base is located at the Fondazione I.R.C.C.S Istituto Neurologico Besta in Milan, Italy. She leads the group and is responsible for coordinating the production and publication of Cochrane reviews of interventions for MS and RDNS. The Group has published 42 Cochrane reviews and12 protocols in the “The Cochrane Library” (http://onlinelibrary.wiley.com/book/10.1002/14651858/homepage/crglist.html#MS). Over 220 authors from some 18 countries contribute to the preparation of the Cochrane Reviews.They are supported by an international team of Editors, each with topic or methodological expertise. Over the years the Group’s name has changed to reflect the expansion of its scope:MSGroup (1998 to 2012), MS and RDNS Group (2012 to present). The Group works according to the guiding principles set out in the EHCRC Publishing Policy document. President of the Clinical Pathways Commission for Neurological Diseases General Health Directorate Lombardy Region (2006 to 2009). Member and Chairperson of the Committee Fellowship Programme IARC Lyon (2008 to 10). Scientific Commission for Independent Research Programme the Italian Medicines Agency (AIFA 2006 to 2008). Teaching appointment Neuroepidemiology at the University Vita-Salute San Raffaele Milan (2002 to 2006). Senior Research Associate in Epidemiology and Biostatistics, European Institute of Oncology, Milan (1994 to 2001). Past President Italian Association of Neuroepidemiology and member of its Advisory Board. She is Author, or co-Author, of 157 articles in peer-reviewed journals. She received 39 grants as principal applicant from the Italian Ministry of Health, National Research Center (CNR), Department of Health UK, Lombardy Region, Italian Federation of Multiple Sclerosis (FISM), Italian Association for Cancer Research (AIRC), Associazione per la Ricerca sulla Efficacia dell'Assistenza Sanitaria (AREAS). Member, Working Group at the International Agency for Research on Cancer (IARC/WHO): SEARCH Project (1980-90). Member, the Brain Tumor Epidemiology Consortium (BTEC-CBTRUS). Member, Medical Advisory Board of the International Federation of Multiple Sclerosis Societies (IFMSS) (1985-89; 1990-93; 1993-97). Member, National Scientific Board of the Italian Multiple Sclerosis Association (AISM) (1982-87; 1988-92; 1993-97). Member, Bioethics Committee SIN (1990-96). Member, Advisory Committee of Neurological DRGs Regione Lombardia Health Directorate General (1997-2000). The Lancet; Neuro-Oncology; Brain; European J of Neurology; Epidemiologia e Prevenzione. Fellowship Programme, Education and Training Group. IARC/WHO. Medical Doctor, specialized in hygiene and preventive medicine, epidemiologist. 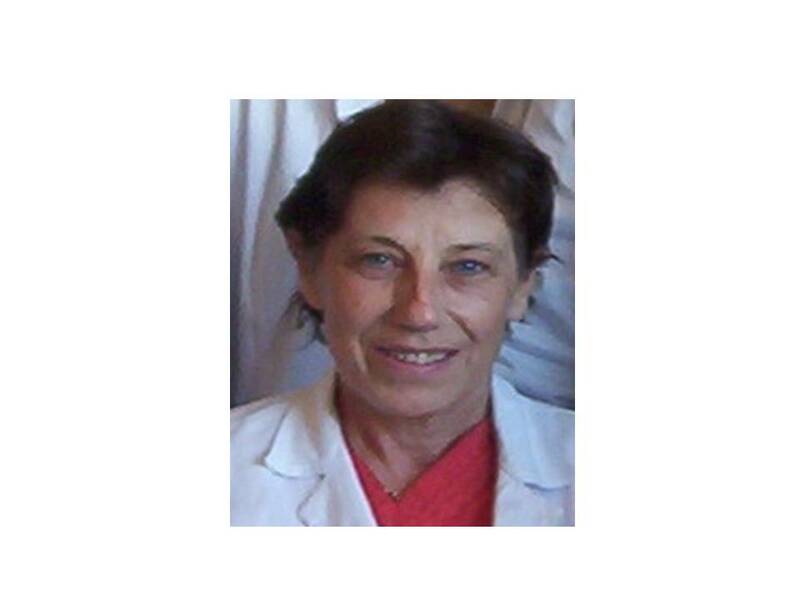 Since 2000 she works as consultant at the Department of Epidemiology of the Lazio Region and since 2002 she is an assistant editor and the quality advisor of the Drugs and Alcohol Cochrane Review Group. Since 1994 teacher in many Evidence Based Medicine courses. Her main expertise and competence is in the methodological aspect of clinical research, mainly the conduct of randomised controlled trials, systematic reviews and clinical practice guidelines. She collaborated as methodologist in the production of several national and international clinical practice guidelines. In the RARE-Bestpractices project she is a member of the Associazione per la Ricerca sull' Efficacia dell'Assistenza Sanitaria - Centro Cochrane Italiano (AREAS-CCI) team directly involved on: work package 1-task 1.2 and work package 6-task 6.4 both relative to the training initiatives and tools and on work package 3-task 3.1 on the analyse of the state of the art of BP guidelines. Statistician, PhD in “Statistics Methodology to the Scientific Research” at the University of Bologna. From 2008 she works as research fellow at the Department of Diagnostic, Clinical and Public Health Medicine of the University of Modena and Reggio Emilia in Modena. She is component of the Italian Cochrane Centre and a member of the Cochrane Statistical Methods Group. She has developed and deepened her interest on methods for performing systematic reviews and meta-analysis of randomised studies; in particular focusing on a recent statistical methodology, called network meta-analysis (NMA). She is now working on the evaluation of the adaptability and reproducibility of the GRADE method (Grading of Recommendations Assessment, Development and Evaluation) to the evidence from NMA. In the RARE-Bestpractices project she is a member of the Associazione per la Ricerca sull' Efficacia dell' Assistenza Sanitaria- Centro Cochrane Italiano (AREAS-CCI) team directly involved on: work package 1-task 1.2 and work package 6-task 6.4 both relative to the training initiatives and tools and on work package 3-task 3.1 on the analyse of the state of the art of BP guidelines.